NASCAR driver, Kevin Harvick, was born on December 8, 1975 in Bakersfield, California. Kevin Harvick is a race car driver and car owner, who competes in the NASCAR Sprint Cup for Richard Childress Racing, driving the #29 Shell Pennzoil car. Harvick also drives part-time in the Nationwide Series in the #33 Camping World Chevrolet; and the Craftsman Truck Series, where he drives trucks that his own team, Kevin Harvick Inc. fields. Kevin Harvick Inc. own the #2 and #33 Camping World Chevrolet Silverados in the Craftsman Truck Series, as well as the #33 Camping World and #77 Dollar General Chevrolet in the Nationwide Series in partnership with Richard Childress Racing. Kevin Harvick made his Craftsman Truck Series debut in 1995 at Mesa Marin Raceway, in his hometown of Bakersfield, where he started and finished 27th in his family-owned #72. He drove four races in the 72 the next season, his best finish an 11th at Mesa Marin. In 1997, he signed to drive the 75 for Spears mid-season, posting two eighth-place finishes. He ran the full schedule the next season, posting three top-fives and finishing seventeenth in points. In 1999 he drove for Liberty Racing, finishing 12th in points. Kevin Harvick has been involved with several altercations with other drivers following incidents on the race track. Just some of the drivers he has been in a altercation: Greg Biffle, Juan Pablo Montoya, Matt Kenseth, Jamie McMurray, Carl Edwards, Ricky Rudd, Joe Nemechek, Jimmy Johnson, Kurt Busch, Kyle Busch, Coy Gibbs, And the list grows each year. On October 23, 1999, Harvick made his first NASCAR Nationwide Series start in the Kmart 200 at the Rockingham Speedway in the #65 Chevrolet. He would start 24th and finished 42nd due to an engine failure. The race would be his only start that year. The following season, Harvick would sign with Richard Childress Racing to drive the #2 AC Delco Chevrolet for his first full Nationwide Series season. Despite missing the second race of the season at Rockingham because of the team being new (not having 1999 owner points), Kevin would go on to win the NASCAR Nationwide Series Rookie of the Year with three wins, eight top five finishes and 16 top ten finishes. On July 29, 2000, he would gain his first win in the Carquest Auto Parts 250 at Gateway International Raceway. He would also post wins at Bristol Motor Speedway in the Food City 250 on August 25, and at Memphis Motorsports Park in the Sam's Town 250 on October 29. He also scored two pole positions and finished third in the Driver's Standings. In 2001, Kevin Harvick would begin to start a precedent that would be followed to this day, running both the NASCAR Sprint Cup and Nationwide Series in the same season. Harvick posted five wins, twenty top five finishes and 24 top ten finishes. Ironically, he would claim the NASCAR Nationwide Series Championship at the same racetrack that he failed to qualify at the beginning of the 2000 season: North Carolina Speedway. In 2002, Kevin Harvick would spend the season concentrating on running the Cup Series and would only start four races. He would only have one top ten in those four starts at Texas Motor Speedway. He finished 64th in the Driver's Standings. In 2003, Richard Childress teamed up both Kevin Harvick and Johnny Sauter, whom Richard had moved over from the #2 car in favor of Ron Hornaday, Jr. driving the #21 Hershey's sponsored PayDay car. The two would combine for three wins, 16 top-fives and 24 top-tens, with Kevin posting all three wins. They would give Richard the NASCAR Busch Series Owner's Championship that season, with the Driver's Championship going to Brian Vickers. It would be the first time that the championship would be split between two teams. Kevin drove in 19 of the 34 races and Johnny drove in the other 15. Both drove a Payday sponsored car in the final race of the season at Homestead-Miami Speedway in the Ford 300, with Kevin driving the #21 and Johnny driving the #29, a gift by Richard Childress thanking them both for the Owner's Championship. Kevin also scored eight pole positions and finished 16th in the Driver's Standings. In 2004, Harvick was again paired with another driver, rookie Clint Bowyer, as Johnny Sauter would take over the #30 America Online Sprint Cup Series car for Richard Childress. They combined for one win, 13 top-fives and 20 top-tens in the #21 Hershey's sponsored Reese's Peanut Butter Cup car. Kevin drove the #29 EGSR/Coast Guard Busch Series car in the final race of the season at Homestead-Miami Speedway in the Ford 300, which he would claim his second win of the season. He finished 20th in the Driver's Standings. The #21 car finished 4th in the Owner's Standings. He went winless in the Cup series that year. In 2005, Harvick was paired with rookie Brandon Miller, as Clint Bowyer would take over the #2 AC Delco Busch series car from Ron Hornaday, Jr. Harvick and Miller combined for three wins, 15 top 5's and 19 top 10's to give the #21 its second 4th place finish in the Owner's Standings. Kevin would also drive the #29 Reese's Chocolate Lovers car to victory in the first "sweep" of his career on Monday, April 4, 2005 in the rain-delayed Food City 250 at Bristol Motor Speedway to go along with the Food City 500 win the day before, to give him a record tying 4th Nationwide Series win at the track (with Morgan Shepard). Kevin finished 18th in the Driver's Standings. In 2006, Kevin decided to run both of NASCAR's top two series full time. In the Nationwide Series, Harvick would be scheduled to run 35 races, with three different cars (#21, #33, #29) and two different teams, Richard Childress Racing and his own team, Kevin Harvick, Incorporated. Harvick had nine wins, 23 top-fives and 32 top-tens. He clinched the 2006 NASCAR Nationwide Series Championship on October 13, 2006 at Lowe's Motor Speedway in the Dollar General 300. It was the earliest clinch of the championship ever in the Nationwide Series, locking up the title with four races still to be run. He ended the season with a record 824 point margin in the final standings. In 2007, Harvick started the season by winning the Orbitz 300 at Daytona, claiming his first win in a restrictor plate race, as well as the first win for new sponsor AutoZone in NASCAR Nationwide Series competition. He also took the checkers at New Hampshire International Speedway, winning the Camping World 200 presented by RVs.com. Nascar officials say he won the inaugural NAPA Auto Parts 200 at Circuit Gilles Villeneuve. Harvick would end his partial Nationwide Series season fourth in points. For 2001, Childress planned to develop Harvick into the Winston Cup Series (now Sprint Cup Series) with up to seven races in an America Online sponsored third car, number 30. He planned to race Harvick for a full schedule in 2002. Chidress's plans changed when Dale Earnhardt was killed during the final lap of the 2001 Daytona 500. Childress tabbed Harvick as Earnhardt's replacement. For the first two races afterwards, the cars ran a reverse white and black scheme (what was black became white, and what was white became black), the number changed from 3 to 29, and the pit crew wore generic uniforms. In the third race of the season, the car was painted white and red, while Harvick wore a white and red uniform. His pit crew continued to wear the traditional GM Goodwrench Service Plus uniforms. On March 11, 2001 at the Cracker Barrel Old Country Store 500, only three weeks after Earnhardt's death, Harvick won his first career Sprint Cup victory in just his third start by narrowly edging Jeff Gordon at Atlanta Motor Speedway. He won the race by only six one-thousandths of a second (.006), proving to be one of the closest finishes in NASCAR history since the introduction of electronic scoring in 1993. After the win, Harvick performed a tire-smoking burnout on the front stretch with three fingers held aloft outside the driver's window. Harvick recorded his second Sprint Cup win of his career on July 15, 2001 at Chicagoland Speedway in Joliet, Illinois. At the end of the season, he finished with two victories, six top five finishes, and 16 top ten finishes. Harvick was awarded with the NASCAR Rookie of the Year award, and secured a ninth place finish in the 2001 points standings. He also won the Nationwide Series championship, becoming the first driver to win the Nationwide Series Champion, while also driving full-time in the Winston Cup Series with a top ten finish. Harvick would end the season winning six pole positions, and driving in 70 races: 35 Cup Series, The Sprint Race) XVII, 33 Busch Series races, and one NASCAR Craftsman Series (at Richmond International Raceway). Harvick began the 2002 season with a fine for a post race incident with Greg Biffle at Bristol Motor Speedway. Later, he was suspended for rough driving following a Craftsman Truck race at Martinsville, Virginia. Harvick scored his first career Sprint Cup pole position; this coming at the Daytona International Speedway. Later in the season, he scored his third Sprint Cup victory, finishing first at the Chicagoland Speedway. He finished 21st in the 2002 points standings with one victory, five top five finishes, and eight top ten finishes. Harvick became the 2002 IROC Champion in his first season in the series, winning at the California Speedway. In the 2003 season, Harvick teamed with crew chief Todd Berrier and won the Brickyard 400 at Indianapolis in August. Harvick and his team jumped from 21st in the final 2002 points standings, to 5th in the 2003 standings, coming within 252 points of first place Matt Kenseth. While winless in the 2004 season, Harvick placed third in the most popular driver voting, behind Jeff Gordon and winner Dale Earnhardt Jr. In the 2005 season, Harvick won the Food City 500 at Bristol Motor Speedway, despite starting towards the rear of the field. Harvick won without the assistance of crew chief Todd Berrier, who was serving a four-week suspension for a rules violation. 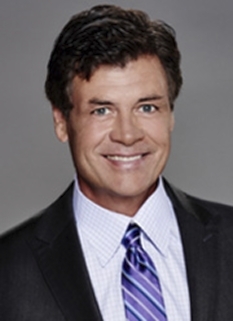 The following year, he continued driving the #29 car for Childress in the Sprint Cup Series. With General Motors' financial situation, GM Goodwrench cut back sponsorship, and was joined as primary sponsor for one-third of the schedule by Hershey's, with various brands (primarily Reese's) on the car. Kevin Harvick awaiting Happy Hour prior to his win at PhoenixOn April 15, 2006 Harvick won his first Busch Series race of the 2006 season. He followed the win with a weekend sweep of the Busch Series and NEXTEL Cup races at Phoenix International Raceway. Later in the season, Harvick won the NEXTEL Cup race at Watkins Glen International. On September 9, 2006, Harvick, only needing to finish 40th or better to clinch a spot in the Chase, did better by slipping by Kyle Busch in turn four going into the final lap and holding onto the lead to win the Chevy Rock & Roll 400 at Richmond International Raceway. This was his third win of the season, and his second "sweep" of the season, having won the Emerson Radio 250 the night before. This allowed Harvick, along with teammate, Jeff Burton, their first berth, and first for Richard Childress Racing, in the Chase for the SprintCup. On September 17, 2006, starting from the pole, Kevin won the first race of the chase at New Hampshire International Speedway, in the Sylvania 300. He dominated the race and by winning, was able to take the lead in the point standings for the first time in his career. Harvick would have a substandard chase run, falling to sixth in the points standings, until finishing third in Texas and following that up with another dominating performance in the Checker Auto Parts 500 at Phoenix International Raceway on November 12, 2006, winning the race, and moving into third place in the point standings. At the season finale at Homestead-Miami Speedway, Kevin would finish 5th in the race and slip to fourth in the final standings to eventual 2006 NASCAR Sprint Cup Series champion, Jimmie Johnson. Kevin's 2007 season had its peaks and dips, and he came to Lowe's Motor Speedway hoping to win his first NEXTEL All-Star Challenge, using an RCR car built and raced in 2006 but with the new GM RO7 engine installed for this race. 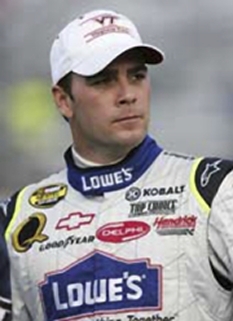 He finished second in 2006 to Jimmie Johnson. Jimmie Johnson made one last attempt at a pass on the outside in Turns 3 & 4 during the race, but Harvick slid up the track to block Johnson and that was all Kevin needed to do to win his first million dollar check at Lowe's in winning what is now referenced as Sprint All-Star Race XXIII. Kevin's total winnings added up to $1,021,539. He said that he would share the money with his crew. In August, at Watkins Glen after he and Juan Pablo Montoya got into a wreck, the started to shove each other because Juan Pablo ran into him, although Juan was attempting to block Martin Truex Jr. who ended up bumping him into Harvick. Harvick made the 2007 chase for the Sprint cup by a margin of 128 points over Dale Earnhardt Jr.
DISCLAIMER: PFP Sports Talent Agency does not claim to represent itself as the exclusive agent for Kevin Harvick. 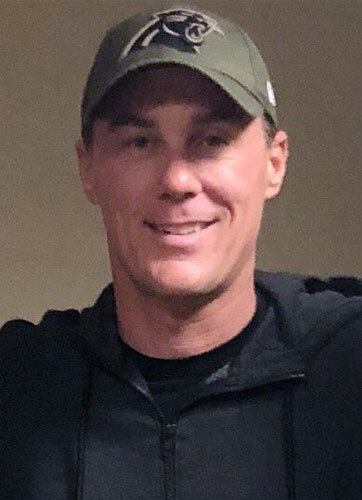 PFP Sports Talent Agency is a booking agency that represents organizations seeking to hire pro athletes and sports personalities such as Kevin Harvick for speaking engagements, personal appearances, product endorsements and corporate entertainment. Fees on this website are estimates and are intended only as a guideline. Exact fees are determined by a number of factors, including the location of event, the talent’s schedule, requested duties and supply and demand. PFP Sports Talent Agency makes no guarantees to the accuracy of information found on this website and does not warrant that any information or representations contained on this website will be accurate or free from errors. We are often asked how can I find out who is Kevin Harvick's agent? To find Kevin Harvick appearance fees and booking agent details, you can contact the agent, representative or manager through PFP Sports Talent Agency for speaking fee costs and availability. PFP Sports Talent Agency can help your company choose the ideal sports personality for your next marketing campaign. To hire Kevin Harvick for an appearance, speaking event or endorsement, contact Kevin Harvick's booking agent for more information.